A package arrived at my door this afternoon. 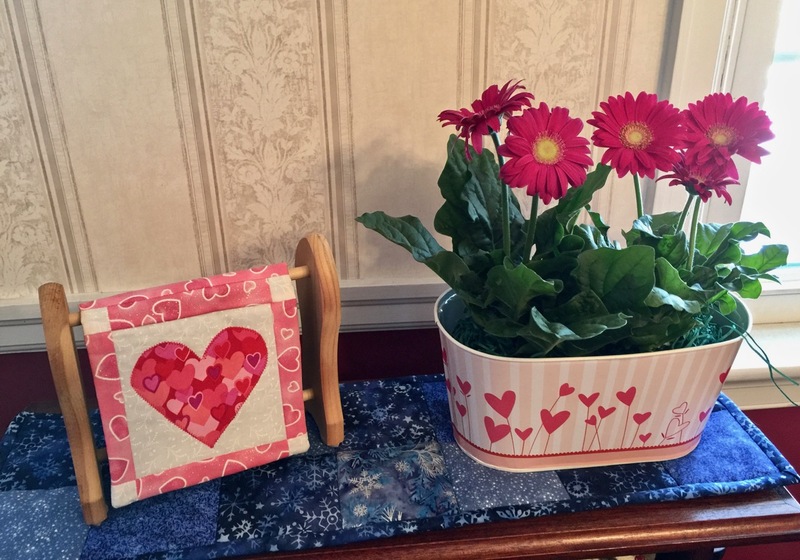 The card indicated that this pretty heart decorated container with these gerbera daisies was a gift from my "Ladies Lunch" cousins, their mom and dad, their two cats, their guinea pig(s), and their fish. :-) What a lovely Valentine's Day surprise!!! 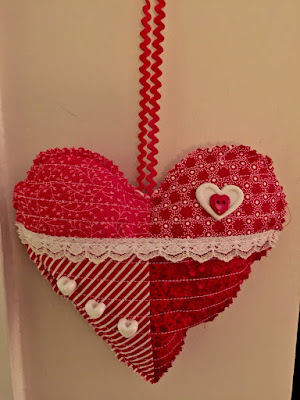 I made two large hearts today. Lace . . . Buttons . . . Beads . . . How could I resist??? As I mentioned in yesterday's post, I again followed the quilted heart tutorial from The Crafty Quilter. 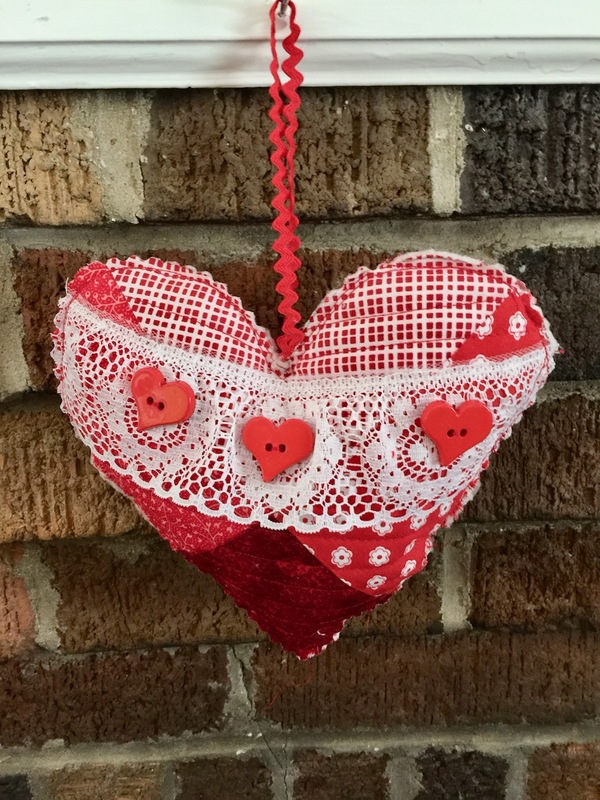 Your hearts are so sweet! 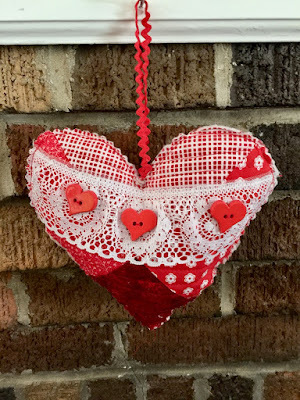 I love the heart-shaped buttons. Thanks for mentioning my tutorial!